Welcome back! Our topic for this Flu Friday is a fun one — we’re going myth-busting. There are tons of rumors and myths about the flu, and here at the Get Ready campaign, we’ve probably heard them all. The key to being prepared in any situation is accurate information, so to help you get ready to fight the flu, we want to set the facts straight. 1. Myth: Cold weather causes the flu. Truth: This is an age-old myth, but the truth is that cold weather itself does not cause people to be sick. However, it is true that more people get sick with the flu in the colder months. This is because viruses that cause the flu can live longer when the temperature is cooler. In the end, more viruses can mean more people getting sick — the flu virus doesn’t care if you’re wearing a scarf or not. We still think you should listen to your mother anyway — just make sure to get your flu shot, too! 2. Myth: The flu is just a bad cold. Truth: Many people see the flu as no big deal, but flu can be a very serious illness. The Centers for Disease Control and Prevention reports that since 1976, an average of 25,500 people a year have died from the flu and its complications. Flu also sends hundreds of thousands of people to the hospital every year. The flu is especially serious for the elderly, pregnant women, young children, smokers and for people with asthma, heart disease, diabetes and other conditions. CDC has more information about people at high risk for the flu. 3. Myth: Vitamin C can protect you from the flu. Truth: Vitamin C, herbal supplements and other “folk” remedies won’t stop you from getting the flu. Have you ever been told to drink lots of orange juice or take extra vitamins as soon as you start feeling sick? Unfortunately, there is very little proof that vitamin C or other herbal supplements will prevent you from getting sick or reduce the severity of your illness once you get the flu. What’s more, taking very high doses of vitamin C, over 2 grams per day, could cause diarrhea and increase your risk for kidney stones. 4. Myth: Healthy people don’t need a flu shot. Truth: CDC recommends that almost everyone in the U.S. who is 6 months of age and older get a flu shot every year. Healthy people can and do become seriously ill if they get the flu. Getting your flu shot every year is important because it can prevent needless suffering. Why get sick and miss work or school when you can prevent the flu? Even if you don’t fall into one of the high risk groups for the flu, chances are you know someone who does. Getting your flu shot will not only prevent you from getting sick, it will prevent your loved ones from getting the flu, too. 5. Myth: The flu shot can give you the flu. Truth: The flu shot will not give you the flu! We repeat: The flu shot will not give you the flu. The viruses contained in the flu shot are inactivated, aka killed, which means that they won’t give you the flu. The most common side effect from the seasonal flu shot is a sore arm. There is also a nasal spray version of the flu vaccine that has live but weakened viruses. 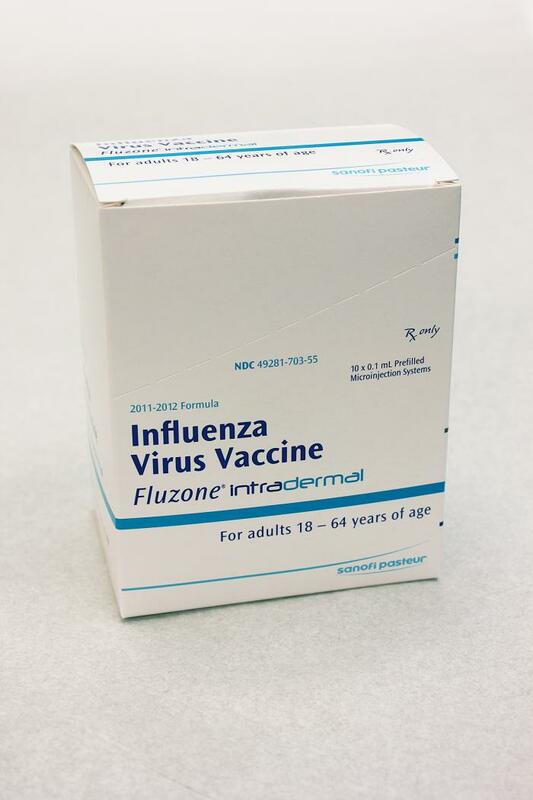 This vaccine will not cause the flu either, although some people report mild symptoms such as a runny nose or sore throat for a few days after they receive the vaccine. It is possible that people can still get sick after getting a flu vaccine. There are a few reasons why this may occur: A person can still get sick from another type of virus, such as a rhinovirus, which causes the common cold, or they could be exposed to the flu before the vaccine has given their body full protection from influenza, which can take up to two weeks. Read more from CDC about flu vaccine misconceptions. So, there you have it: We’ve busted the top five flu myths, and hopefully helped you get ready to fight the flu this season. If you want to test your new flu knowledge, take CDC’s Flu IQ quiz, and tell us how you scored in the comments!